5 months ago Mike got divorced. It was a 15-year long marriage. For much of it Mike was unemployed. Eileen had had enough. Eileen had to pay Mike alimony based on their respective earnings, earning capacities and work histories. 5 months later Mike won $273 million dollars in the New Jersey lottery. While it appears no amount of money could salvage this relationship, Mike plans to salve his wounds with a new pickup truck, a vacation and listening to his lawyer. Eileen has a basis to modify and possibly terminate her alimony obligations to Mike. Win, win. Matthew Thompson is an Alimony Lawyer in Mississippi which just approved lotteries. Get ready! The Hardest Check to Return; Paying Your Alimony Early and the Pitfalls of “Acceptance”? 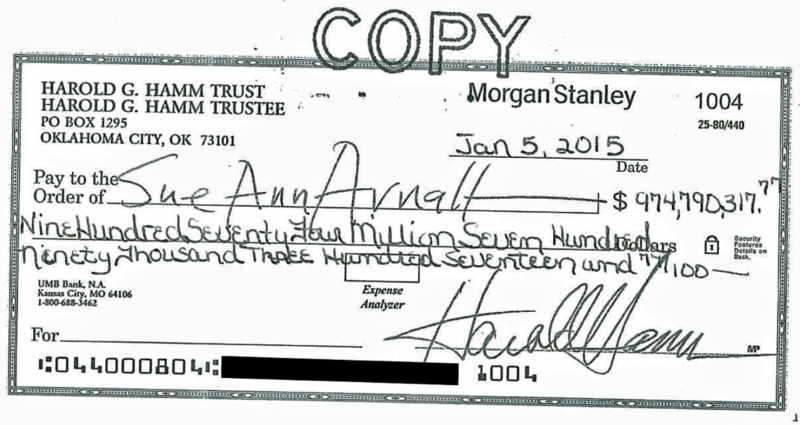 Harold Hamm, oil tycoon of Continental Resources sent his ex a check for $974.8 million! However, she rejected the check delivered to her lawyers. Reports indicated that Mr. Hamm was worth some $18 billion and Ms. Arnall’s near-billion dollar payoff seemed paltry to she and her legal team, hence her appeal of the Court’s ruling. That would be a hard check not to accept! *Ultimately she did accept the payment and her appeal was dismissed. 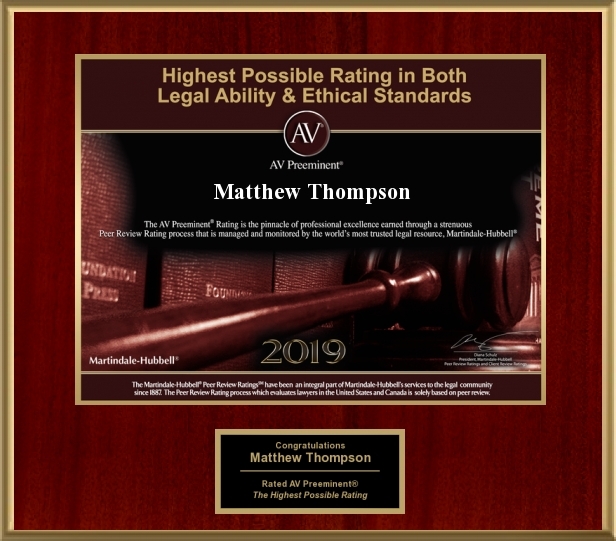 Matthew Thompson is a Divorce and Alimony Attorney in Mississippi and reminds you that the #1 rule, when we’re fighting over stuff and not people, is to take the money.